Philadelphia, PA – Joseph Alcoff, an Antifa Activist charged in the attack on two Marines, apparently has some significant ties to Democrats. 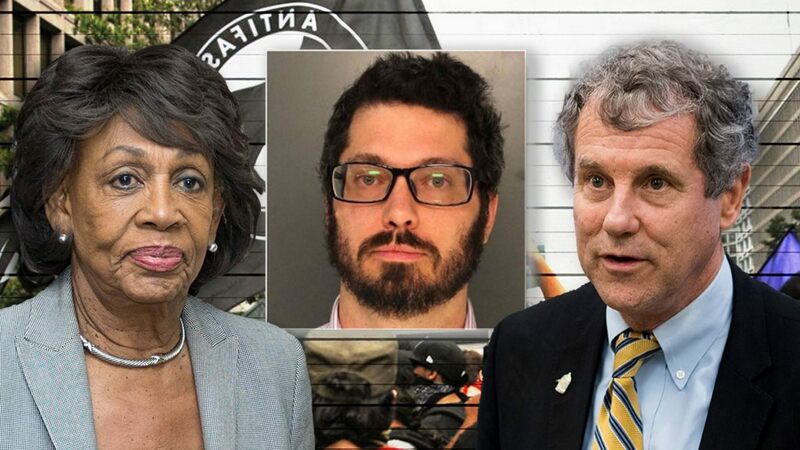 Fox reported that even as Democrats are now distancing themselves from Alcoff, he once was well known to figures like Rep. Maxine Waters (D-CA) and Sen. Sherrod Brown (D-OH). Only three of the Antifa members in the Philadelphia attack on the Marines have been identified and charged: Thomas Massey, Tom Keenan, and leader Joseph Alcoff. Alcoff is charged with Aggravated Assault and ethnic intimidation. He was an advocate for legislation that would regulate payday lenders as the campaign manager for a liberal group called “Americans for Financial Reform.” He met with members of the Consumer Financial Protection Bureau from 2016 through 2018. House Democrats had him on their podcast. It appears they may have sought his endorsement on various policy items. He even dressed up a “Lenny the Loan Shark” at one point… in a shark costume, although the Democrat, Rep. Don Beyer (D-VA) who was at that function swore he never interacted with Alcoff. While this was all occurring, Alcoff was also part of the “Smash Racism DC” Antifa group. [Hint: nobody bothered to check]. That’s the same group that appeared at Tucker Carlson’s house and heckled Ted Cruz in a DC restaurant. The articles did not say he was actually involved in those two incidents, but he was part of the organization at the time, according to the Daily Caller. Far-left Antifa group threatens Cruz over Kavanaugh: ‘You are not safe…. Previous articleJudicial Watch Accuses Los Angeles VA of Booting Veteran Orgs That Actually Help Vets.